← SJP’s Shoe Line is Finally HERE!!!!! Spring hasn’t officially sprung quite yet. And usually here in Middle America, it takes a little longer than other parts of the country to finally come around. That hasn’t stopped me from shopping for sandals though. 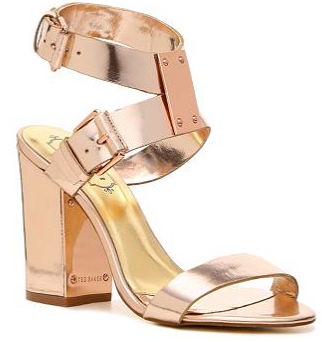 In my online search for the perfect shoe, I found these positively perfect rosegold sandals from Ted Baker. I’ll bet the block heel makes them super comfy. The metallic leather makes them dress-up worthy. The metal plate and other more practical hardware in the same rosegold color make them unique and dare I say, a little bit edgy. Thanks to J.Crew, we can now wear even the specialist of occasion shoes with destroyed jeans, so I know I’m not out on a limb when I say that these sandals could take a girl a lot of places. Let’s just hope that girl is me! Just found your blog! 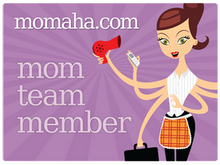 So cool that you’re in Omaha too! Hi Molly, thanks for stopping by. Always fun to find bloggers in the same area!